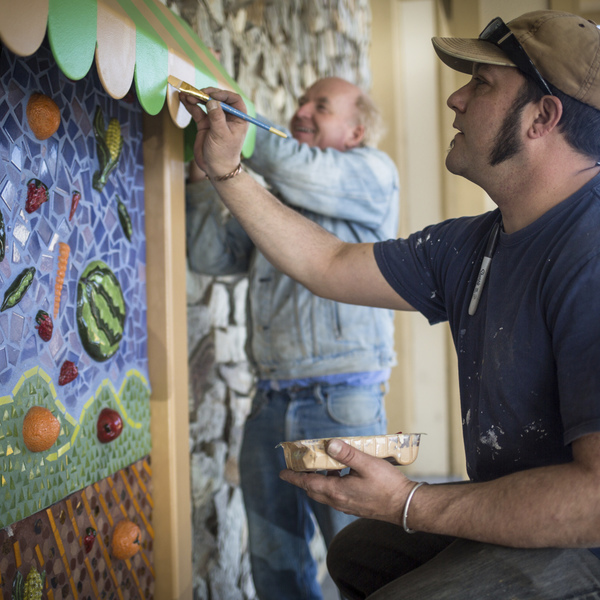 Mosaic Miniature Market - Play Everywhere Gallery | KaBOOM! 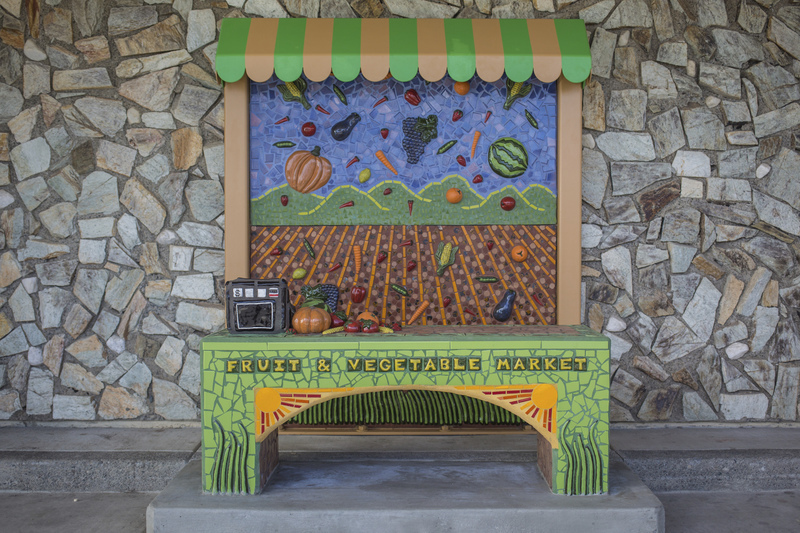 In partnership with downtown Vallejo's first grocery store, the Vallejo Community Arts Foundation transformed unused space in front of the store into a playful, kid-sized market. 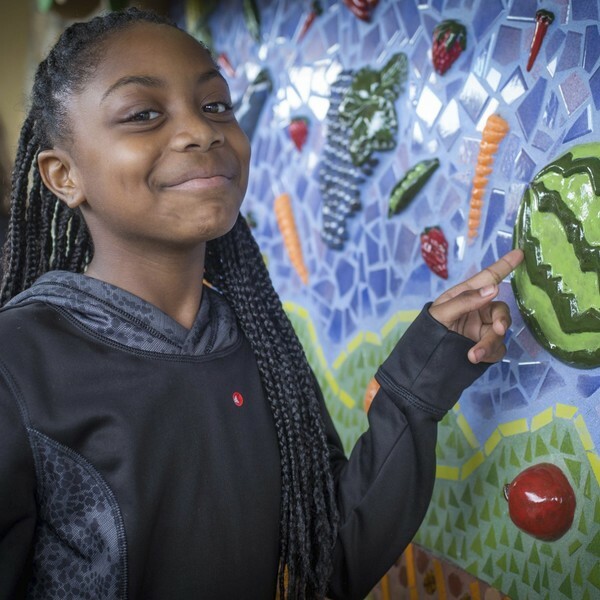 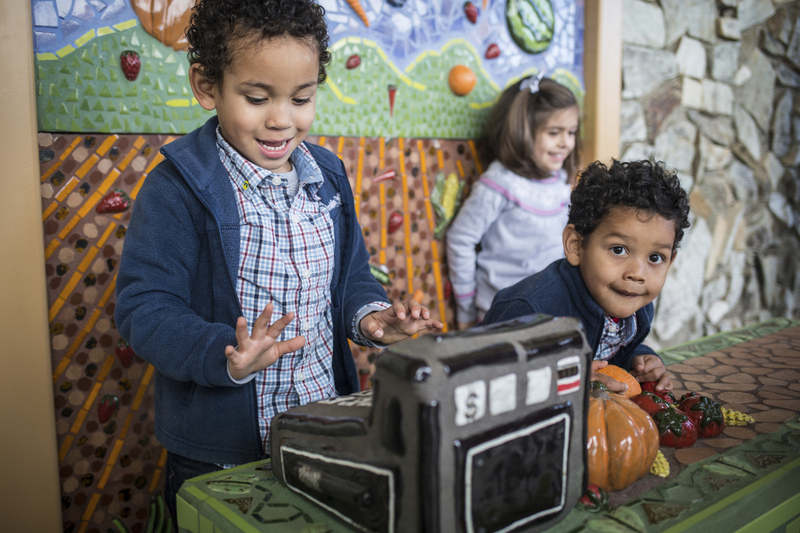 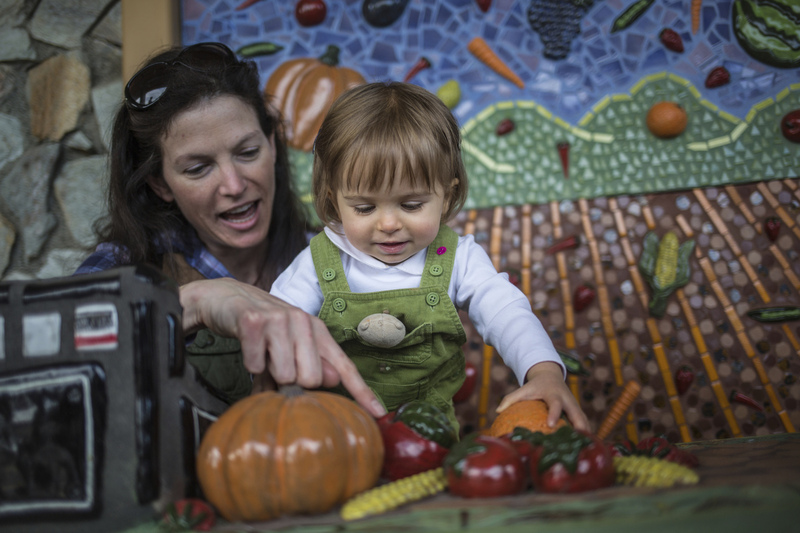 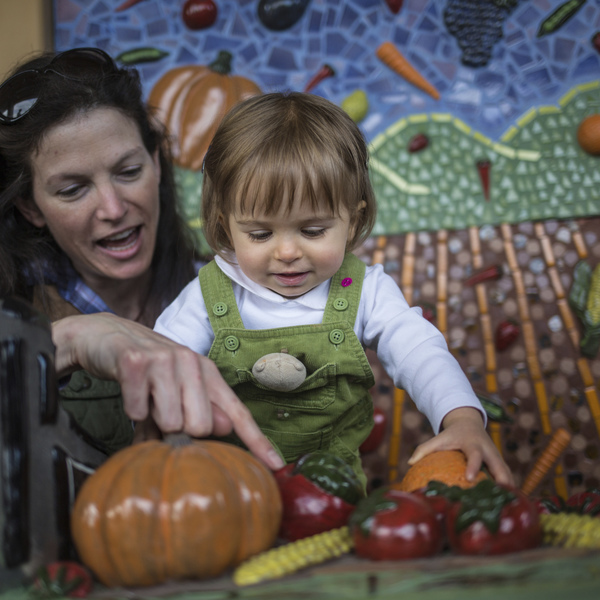 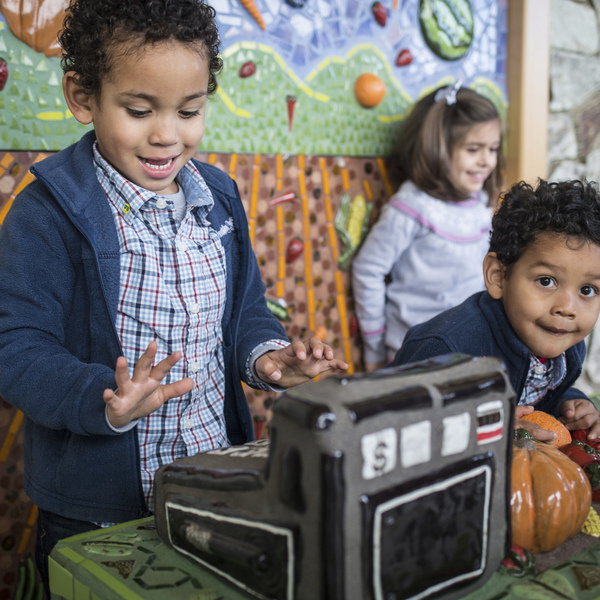 Through a mosaic art display featuring fruit, vegetables, and mini counter, kids are encouraged to play during routine trips to the grocery store. 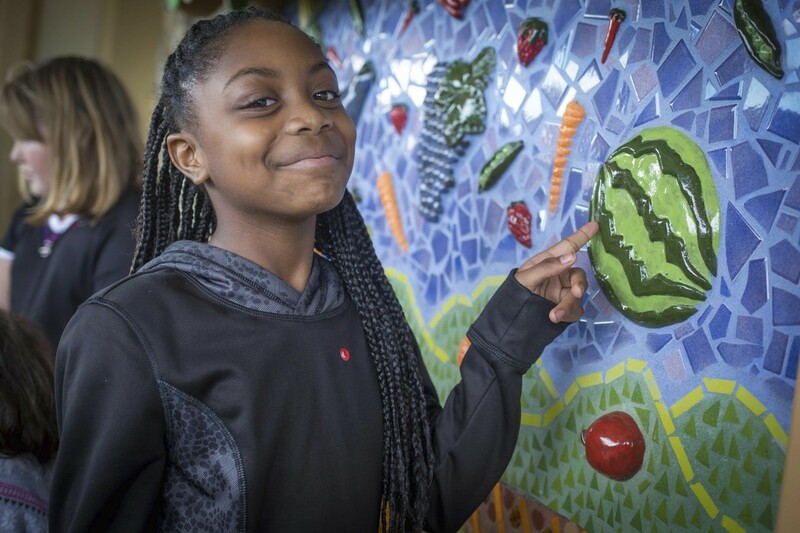 Over 30,000 kids will now have the opportunity to have their own fun when they go to the grocery store with their caregivers. 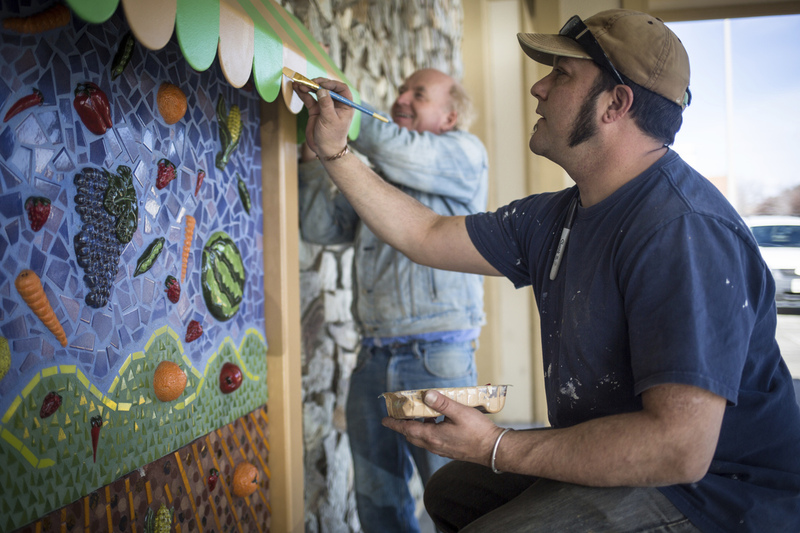 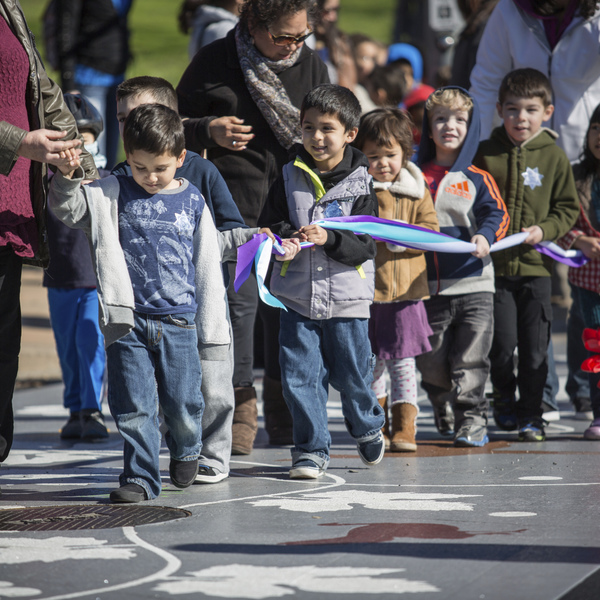 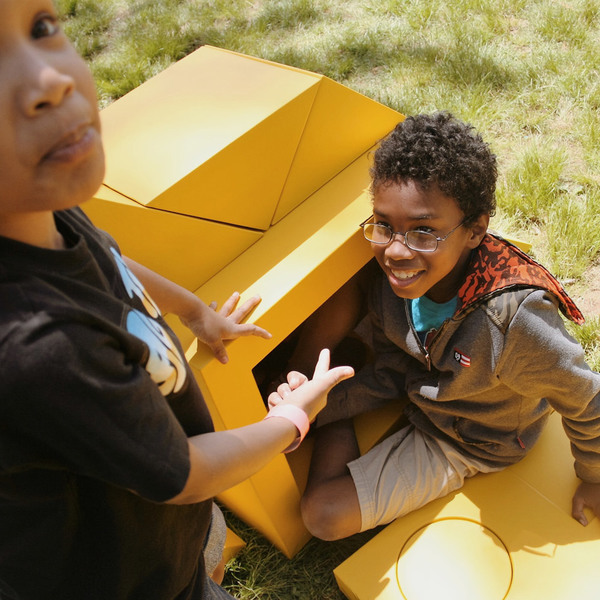 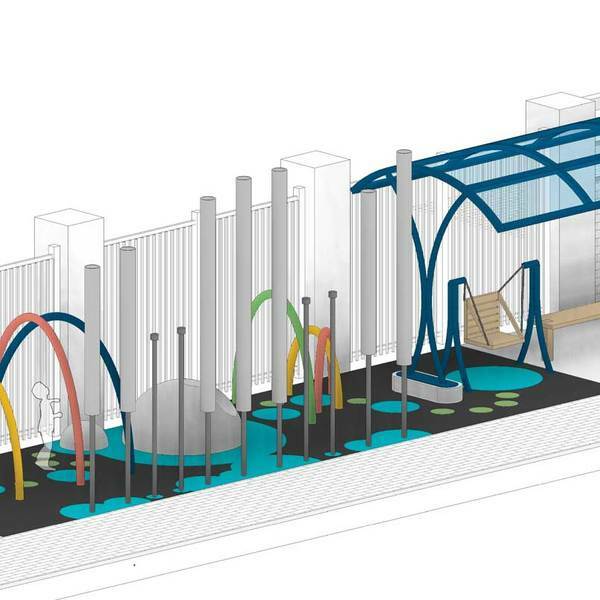 The Vallejo Community Arts Foundation will continue to implement public and interactive art throughout Vallejo in an effort to enrich the city's downtown.